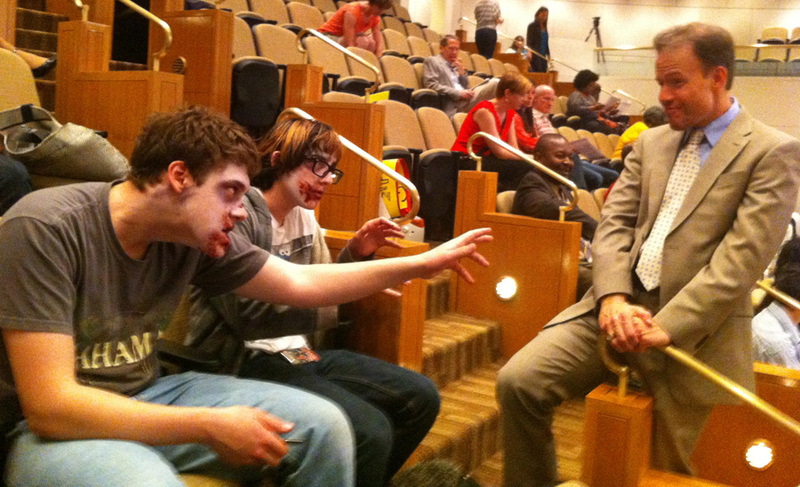 Had a great time at our Board of Education testing zombie event. Keep those signatures coming, and look for action news soon! Here’s what we had to say. For more than a decade, North Carolina schools, students, teachers and families have suffered from the onslaught of high-stakes standardized tests sparked by the No Child Left Behind legislation. These zombie tests have invaded our schools, sucking time and money from teaching and learning. They’ve deadened creativity and original thought, squashed imagination, stripped both teachers and students of dignity. Like zombies, these tests just won’t die. Despite conclusive evidence from many sources that the explosion of testing No Child Left Behind testing did more harm than good, the numbers and the cost of tests continue to multiply. Dozens of new high-stakes state tests will be introduced this year, with more to come in subsequent years. We anticipate that the budget that will be unveiled tonight will include significant expenditures on equipment and other costs of these largely unfunded state and federal mandates. And as Dr. Morrison and other educational leaders have pointed out, these tests that are sucking so much time, energy and money cannot assess the twenty-first century skills that our children need to be learning, skills such as creativity, entrepreneurship, cooperation, determination and complex problem solving. It’s time to stop the madness. Parents, students, teachers, leaders and community members need to stand up and say “we won’t take it any more.” If we all stand together, our elected leaders in Raleigh and in Washington will have to listen. We want to emphasize that this is not a partisan issue. Both Democrats and Republicans bear responsibility for testing madness. Across Mecklenburg County, and across our state, both Republicans and Democrats are fed up with the damage it has done to our schools. We also want to emphasize that we are not here to criticize CMS. We are here to ask for your support as we call on our state leaders to take action. While some tests are mandated by the federal government, state leaders can cut their numbers and remove high-stakes measures – such as A-F grades for schools and using test scores to determine teacher pay – that have narrowed the curriculum to the limited material covered by the tests, and have prompted rampant, soul-deadening teaching to the test. Our MecklenburgACTS.org petition, which can be found at NoTestingZombies.com, calls on state leaders to reduce tests where they can, and to place a moratorium on state-mandated high-stakes consequences until this madness can be sorted out. We call on the public, on the board, and on our superintendent to give us your support. Help us keep the zombies from our children’s brains. Thank you. 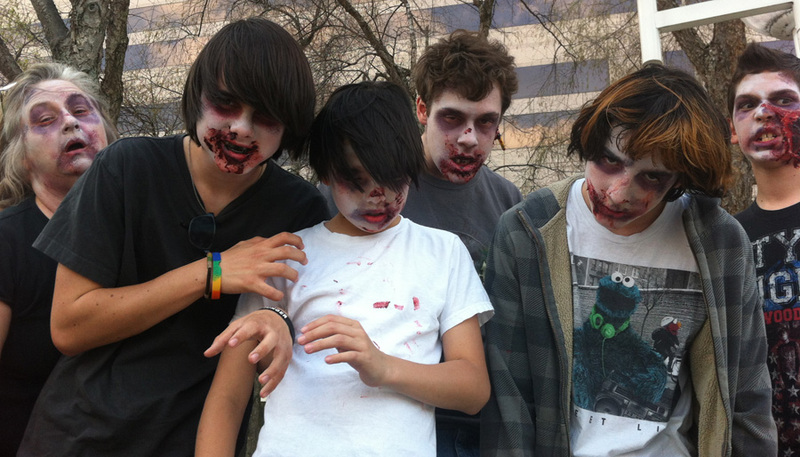 ‹ Testing Zombie Rally – Tuesday, April 9th	› Please Write Your State Representative about HB 775!